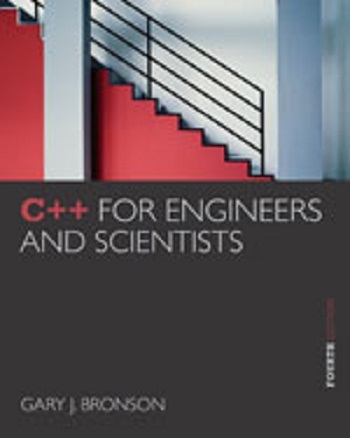 Introduce the power and practicality of C++ programming to entry-level engineers with Bronson\’s C++ FOR ENGINEERS AND SCIENTISTS, 4E. This proven, pragmatic text is designed specifically for today\’s first- and second-year engineering and science students with a wealth of new applications and examples taken from real situations involving electrical and structural engineering, fluid mechanics, mathematics, power generation, and heat transfer challenges. The book starts with a solid foundation in procedural programming before moving into a reorganized, clear presentation of object-oriented concepts. Dynamic case studies, career spotlights and engineering-driven applications showcase the relevance of concepts students are learning to their careers. Helpful tips demonstrate how to avoid common C++ programming errors, while updates ensure that students are learning the most recent C++ code standards.